Even though I’m from Portland, I’m not a fan of any weather other than blue sky. In the summer, I can be a little more open to the idea of clouds in the sky. 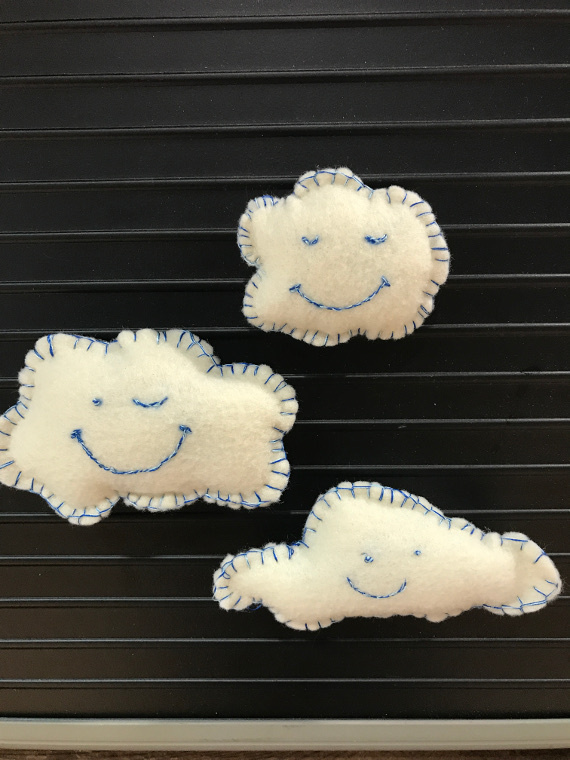 I still prefer these little felt clouds to the real thing, though. This entry was posted in Accessories, Crafts, Embroidery, Needlearts, Sewing and tagged Felt, Magnets on July 16, 2017 by Joselyn. With summer in full swing, you may find yourself in need of a tote bag more often. Whether you’re headed to a farmer’s market, a pool, or the beach, totes are always handy to have around this time of the year. 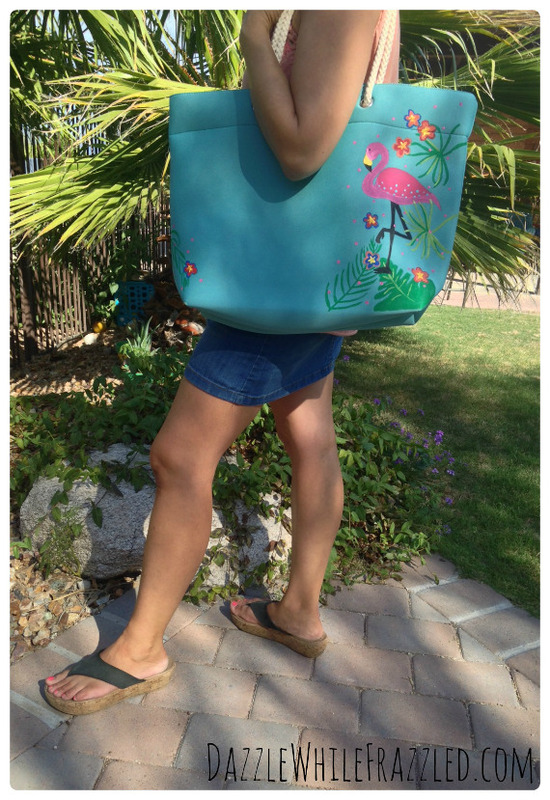 DIY totes are a great way to show off your style and make your bag easy to spot in a sea of lawn chairs. Here are some of my favorites. When I was younger, I actually collected flamingos. I had lots of stuffed ones in my room and even a few lawn flamingos. This bag would have been a summer staple for me. This entry was posted in Craft Trends, Family Crafts, Sewing, Summer and tagged Bags, Purse Making, Totes on July 15, 2017 by Joselyn. 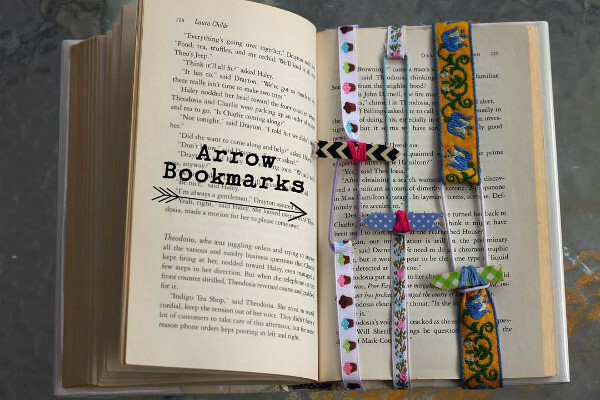 Make a handy bookmark that will keep track of exactly where you stopped reading. 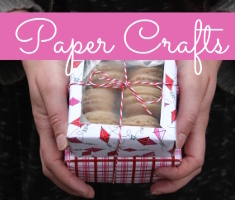 Make one for yourself, or for your favorite book lover. This entry was posted in Crafts, DIY gift ideas, Kid's Crafts, Sewing and tagged Craft Sticks, Ribbon, Washi Tape on May 3, 2017 by Michelle. Yo-yos are fun and a little addictive to make. 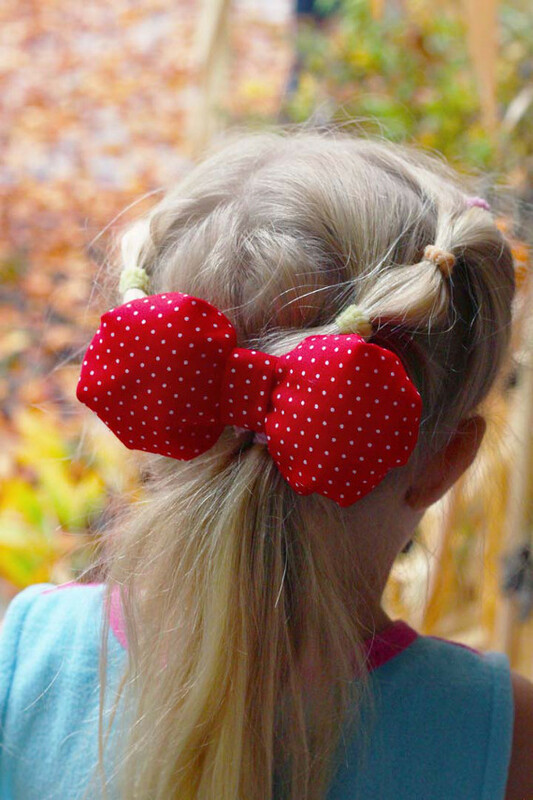 They’re great for watching your favorite TV show or movie, and they can help you use up your scrap fabric. 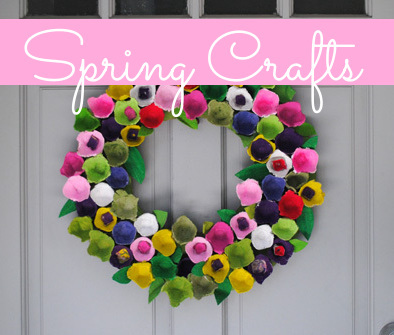 Here are some of my favorite crafts that use all those fabric yo-yos you make. Turn a yo-yo into a statement accessory piece. You can make it as large or small as you want. 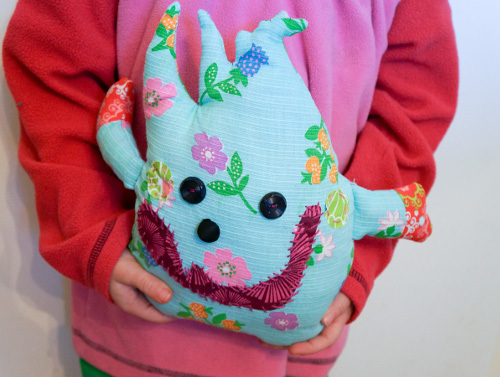 Use up some scrap fabric or let a little one pick out a few fat quarters. 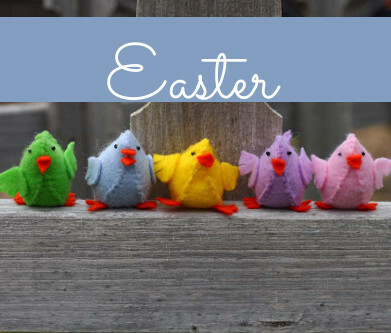 This entry was posted in Craft Trends, Sewing, Spring and tagged Scrap Fabric on April 29, 2017 by Joselyn. With so many gadgets and tech tools out there, it only makes sense that resourceful crafters would find a way to make them even better – and prettier. Here are some of my favorite DIY tech upgrades. 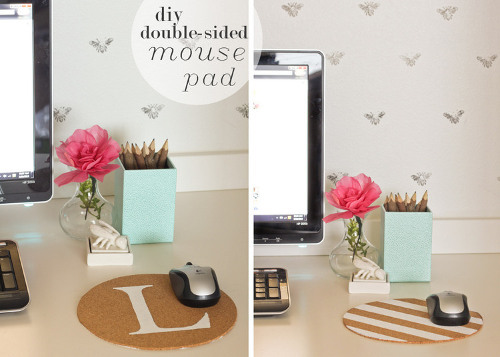 DIY mouse pads are easy, super functional DIYs that help show off your personality at your desk. If you can’t make up your mind between graphics, just make one that’s double sided! This entry was posted in Craft Trends, Crafts, Sewing and tagged Craft for Tech on March 18, 2017 by Joselyn. 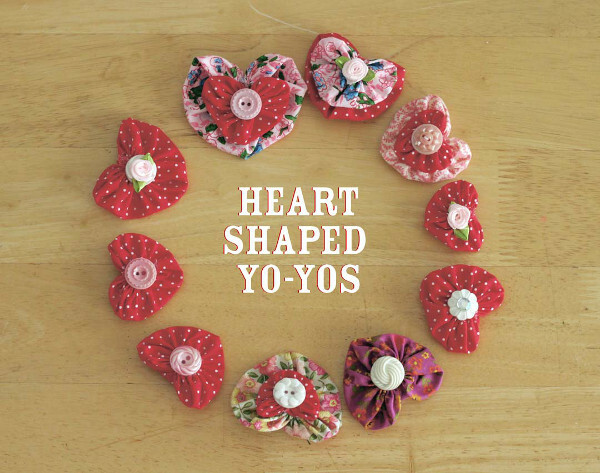 Here’s a cute heart-shaped twist on the classic fabric yo-yo, to use in your sewing and craft projects. This entry was posted in Button Crafts, Crafts, Needlearts, Sewing and tagged embellishments, Scrap Fabric on March 5, 2017 by Michelle.